Miami Beach has placed a stronger focus on protecting sea turtles that nest on its beaches thanks to a group of concerned residents who have taken it upon themselves to watch out for the endangered creatures. The importance of protecting the nests and hatchlings can be found in this one fact: Only 1 in 1,000 grow to adulthood so the more that hatch and make it to the water, the better for the future of the three main species that nest here: loggerhead, green, and leatherback turtles. The good news, nests in Miami Beach have doubled in the last five years. With the heightened awareness, volunteers are coming forward to help but there are very specific guidelines and rules for who is allowed to do what to protect the endangered turtles. Last night, Commissioner John Alemán hosted “Turtle Talk” – a mix of educational and fun activities for the community and interested volunteers to learn more. The newly formed Turtle Protectors group was spun out of the popular Clean Up Miami Beach Facebook group as the nesting season began this spring. Ever since, the group has worked with Alemán, the City’s Sustainability Department, Code Compliance, and Beach concessionaires to ensure the City is doing all it can to protect nesting mothers and provide safe passage to the water for hatchlings. --The State Fish and Wildlife Conservation Commission (FWC) ensures compliance with State law. --Miami-Dade County holds the permit for the turtle conservation work including surveying and marking nests, evaluating hatch success, relocating nests, and responding to disorientation and other incidents. 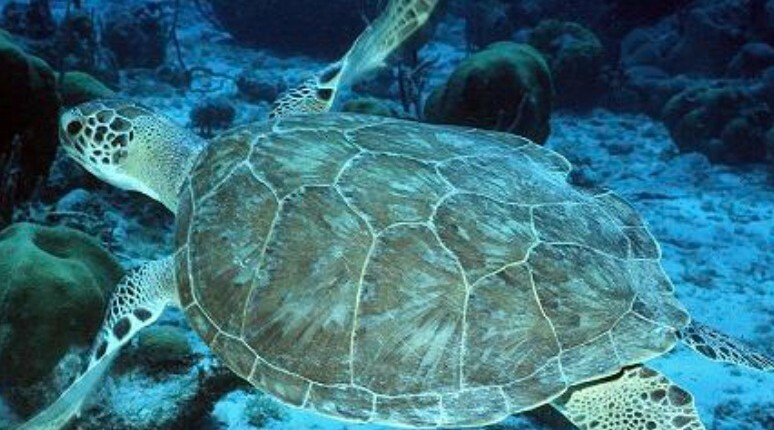 --City of Miami Beach “connects all the players”, making recommendations to the County and State, ensuring compliance with the sea turtle protection ordinance, and providing educational information. Pineda emphasized the City cannot touch nests or hatchlings or adult turtles. For last night’s group, the most important message was the role of the “Advocates” who are encouraged to report observations, educate friends and neighbors, share recommendations and ideas, and form advocacy groups. Volunteers are not allowed to touch nests, hatchlings or turtles without a permit. However, advocacy groups can apply to go through the County’s training process to obtain their own permits. During the nesting season in Miami Beach – April 1 to October 31 – the County conducts daily beach surveys marking false crawls, nests, etc. Daily beach operations (sand sifting, litter collection, and concession set-up) cannot be conducted until surveys are complete. The biggest challenges to protecting the turtles are light pollution, beach concessions, and beach vehicles. A number of hatchlings have become disoriented near Ocean Drive, mistaking the bright lights for the moon and heading toward the street rather than the ocean. The City is working on installing turtle friendly lighting on its properties and shielding other lights in the interim. Code compliance is working with private property owners to make their lighting turtle friendly. Meanwhile, reports of disorientations and their locations are being carefully tracked to address problem areas next year. Seeing a disoriented hatchling can be distressing. As Commissioner Alemán noted, when you see baby turtles heading the wrong way, “you are facing your own humanity” and it is natural to want to do something. A County representative responded that while non-permit holders are not allowed to touch the turtles, the most important thing is that anyone observing disoriented hatchlings first call the FWC hotline 1-888-404-3922 and wait for direction on what they should or should not do in that particular situation. Other City initiatives include new rules requiring beach concessionaires to stack their furniture as close to the dunes as possible during nesting season. And departments using beach vehicles have received training and guidelines for protecting the nests. In addition to training, the City is working on better signage to educate beach goers on the nesting season and how they can avoid doing any harm. Ideas will be discussed at the next Commission Sustainability and Resiliency Committee meeting on September 20. The City is also working with the County on its nest relocation strategy. The County relocates nests based on safety hazards but has cut back on the number they relocate each year. That strategy is being re-evaluated. The emphasis this year will be a good lead-in to next year Alemán said as the City works on institutionalizing some of the learning and processes implemented this year. Call the FWC 24 hour Wildlife Alert Number at 1-888-404-3922 or *FWC from your mobile. Turtle Protectors is a closed group on Facebook. To join, visit the page. Attend the September 20 Sustainability and Resiliency Committee meeting to discuss ideas for new signage. It will be held in City Hall in the City Manager’s fourth floor conference room at 1:00 pm.